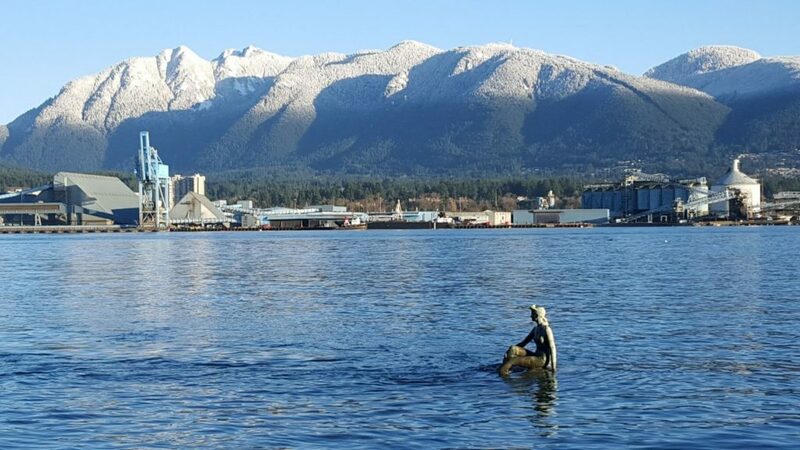 Our very own junior reporter Holly is just back from a trip to British Columbia, Canada. She picked her top 10 favourite things to do and let us in on the secrets. The Ziplining was really fun. We had to get three different shuttles but two were in between lines and were only short. The sky was incredibly clear so we had great views when we were on the lines. Our guides were really funny and we all got along. After one of the longest lines, it started to rain, but we didn’t get wet at all. As we walked down the boardwalk to the next line we walked out of the rain. It was really amazing because at the next zipline, we had the view of the mountains under the sun, and on the other side of us it was raining. It’s incredibly easy to take photos, but take your phone at your own risk. Today I had the Treetop Adventure on Cougar Mountain, which I was really excited about because I love High Ropes Courses. There are some easier tasks between the platforms like walking along a ladder. There are harder ones where you have to try and step across rotating balls. There was one short zipline course where you stepped onto a rope net, but if you wanted to take the harder option you can choose a Tarzan swing and swing straight into the net. 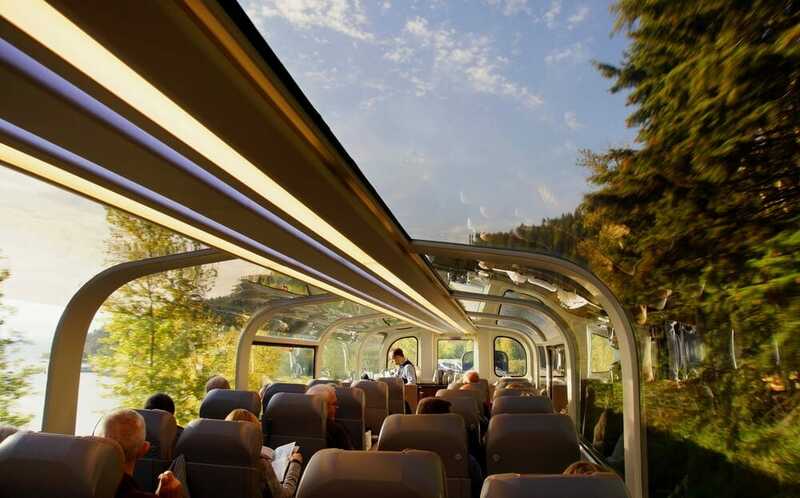 Today I had to get up early for the Rocky Mountaineer to Whistler. I got up early so that I could head over to the Gold Lounge breakfast that was just down the hall from my room. While we were on the train there was a rock slide, and the track was covered in rocks. We had to wait quite a while for the track team to remove the rocks so that the train on the other side could get through. As we passed locations our hostess talked to us about the areas and some of my favourites were Porteau Cove, a scuba diving area that has four sunken ships all around the same spot. There is a rumour that an Octopus named Ollie lives in one of the bathrooms of the ships. When holidaying in Vancouver, there are plenty of places that you can easily hire a bike or possibly go on a tour. If you are staying at the Fairmont Waterfront you can hire a free bike from the bell-desk. 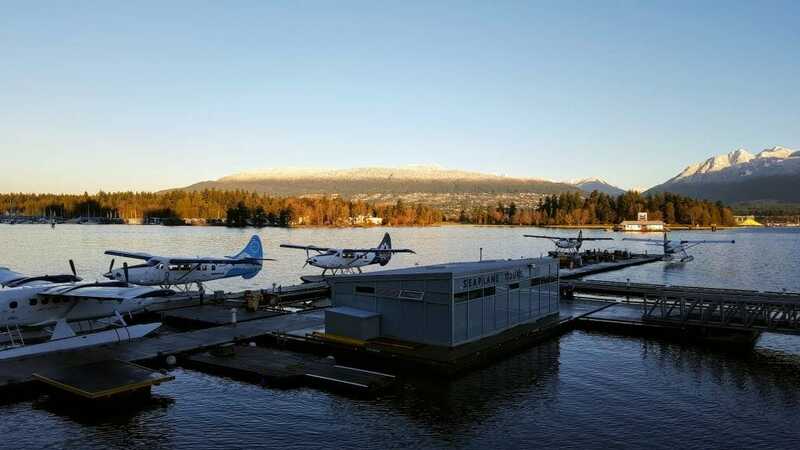 A great way to see Stanley Park is to go around the perimeter which gives you great views of the harbour, the Lion’s Gate bridge that connects Vancouver to North Vancouver, and other statues and monuments. The Capilano Suspension Bridge was a lot easier to get to than I had first expected. Child-friendly park maps are provided. You can experience the park like a scavenger hunt by collecting stamps from each destination. Once every stamp is collected you can get an ‘I did it!’ certificate. 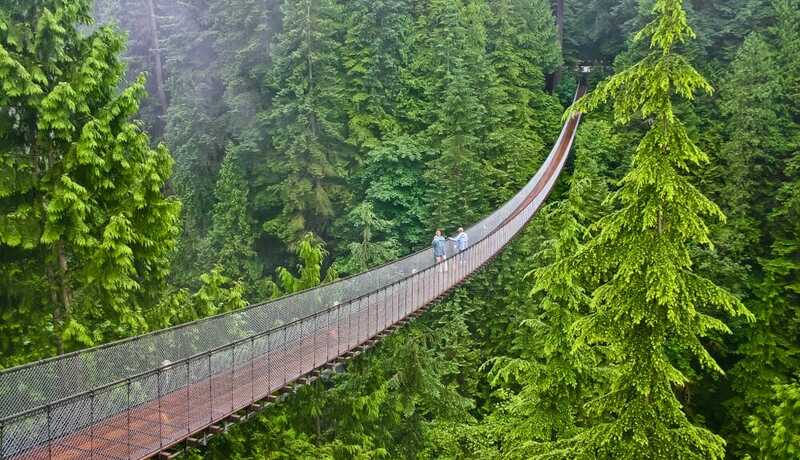 I went to the Capilano Suspension Bridge on a semi-rainy day and it was filled with tourists. Must-sees are the Capilano Cliff Walk, and obviously the Capilano Suspension Bridge, which was surprisingly harder to walk on than I expected. It rocks back and forth, so hold on to the railings! FlyOver Canada is a great way to start any trip to Canada as it gives people a view of just how immense Canada’s landscape is. Guests sit on what looks like some sort of glider, and then the seats move as you fly across the lands of Canada and end in Vancouver. 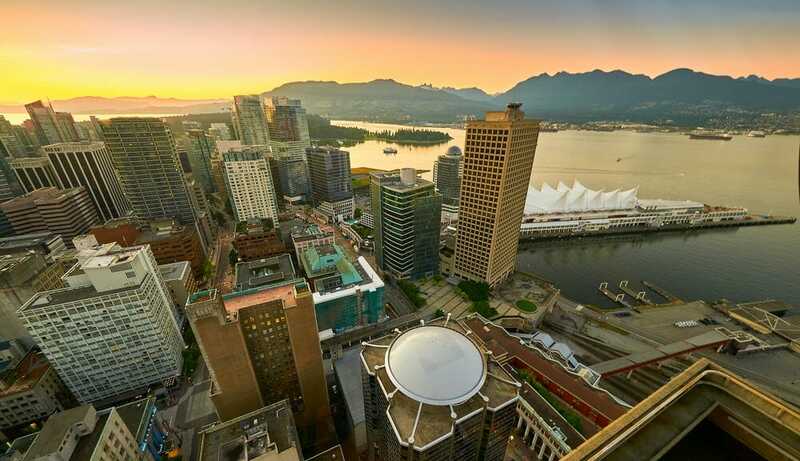 It’s incredibly easy to get to – placed just along Canada Place on the Waterfront. Families can glide together. The pre-show is personally my favourite part of the experience. It’s a combination of loud music and incredibly cool clips of people and places all over Canada on the four large walls of the opening room. You can’t walk through Vancouver without seeing the Lookout towering over you at some point. The entrance is just within the shops and directly below the Overlook. It takes only moments to get up the glass-walled elevator to the top. The Lookout is a great place to sit back and relax if you’ve had a long day of running around town. There are plenty of seats and tables, as well as a gift shop and toilets. 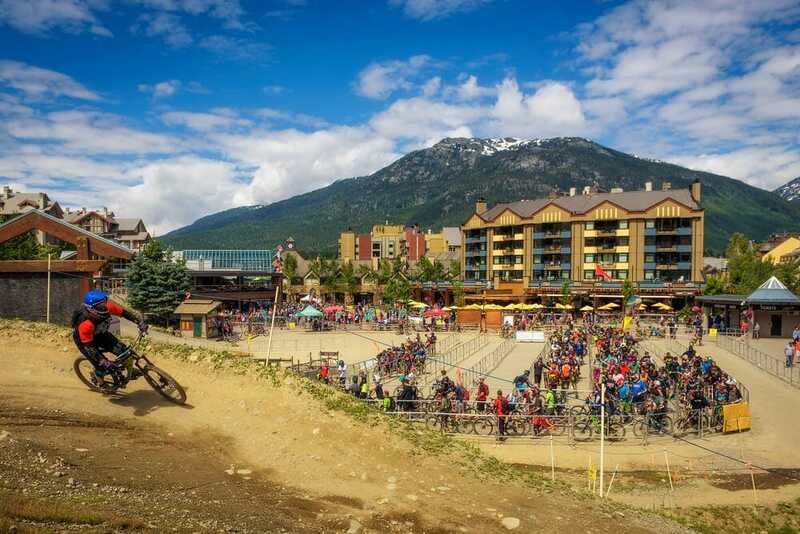 Mountain biking starts down at the Blackcomb Ticket booth where you gear up with your kneepads and helmet and then meet up with your group and leader. It was the short ride up the chair lift to where we collected our bikes. Mountain bikes are very different to the average gear bike. I was very surprised by these differences. The brakes are a lot touchier and the bike is built for standing. We made our way down the mountain, making sharp turns and bobby pin corners. It was one big experience that you should definitely consider. Firstly, you get into a smaller enclosed gondola. Once you reach the top, you get a chance to walk outside near where the ski slopes start. Then you change over to the larger and newer red gondolas. The higher up the mountain it went, the clearer it got. Southside Diner: The Southside is a great place to stop after the long Rocky Mountaineer trip or for a great burger and chips. I would recommend the Veggie Burger, although it can get pretty messy! Earls Kitchen & Bar: Earls is a great place to get something more gourmet to eat. With the choice of booth tables, normal tables and a bar you can be as comfortable as you wish.